The North Aegean islands are a wide spread group of islands also known as the Northeast Aegean islands. They mostly belong to Greece some of them however are Turkish. 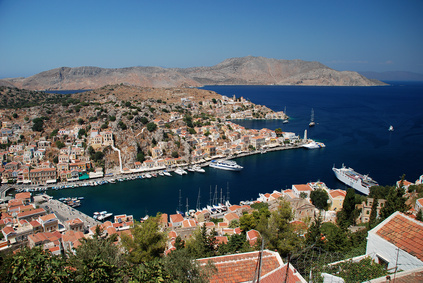 Compare the places like Crete, Dodecanese or the Cyclades tourism still is slow but it is growing. The seven larger islands of this group are Chios, Lesbos, Limnos, Icaria, Samos, Samothrace and Thasos. The larger islands also have an airport with a daily connection to Athens; often enough there are direct charter flights from the UK as well. To get to the northern islands by boat you'd normally best go to Thessaloniki. As for Icaria, Chios and Samos Athens (Piraeus) might be the better choice. The islands in the north are sometimes also reached from the next bigger settlement on the mainland. Turkey claims most of these islands as theirs. Needless to say that these claims repeatedly led to tension between Greece and Turkey. On some of them the Greeks have large military bases. You never know although you don't have to expect any trouble. Since Turkey wants to join the EU they calmed down a lot. Samos is birthplace of the most famous ancient mathematician Pythagoras. We all remember him and his famous theorem. He is also known as the father of numbers. 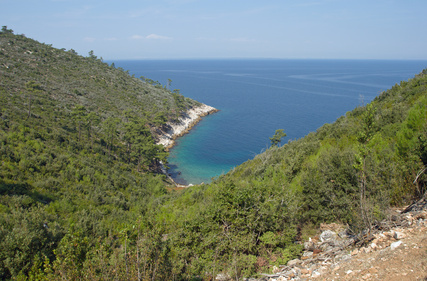 In ancient times Samos was an important centre of the Greek world. The museum in Samos capitol Vathy therefore worth's visiting. If you go there to be on your own best stay south. From Samos you can go directly to Turkey (Kusadasi). Chios is a relatively large island with a large population and very little tourism. The capitol is not exactly pretty and not particularly interesting either. A lot more exciting is the "new monastery" 10 kilometres outside of the main settlement. It hosts the most famous collection of mosaics in all Greece. Lesbos was an important centre of philosophy and poetry in the ancient world. There a couple of very interesting museums in the capitol. Highly recommended is the Archaeological and the Theophilos museum. The latter is the most famous Greek painter of the 20th century. Lesbos and Chios are both to be reached from Athens; either by boat or plain. Tourism in Samothrace only developed in the past 20 years. It has a few excavations and is hikers' paradise. To get there take a boat from Kavala on the mainland. Thasos is well known for its marble. It has beautiful beaches und the locals are very hospitable. It is the ideal destination for a family holiday. To get there take a boat from Kavala. It is a 2 to 3 hour trip. Icaria is well known for the hot spring "Therma". Since an airport was built tourism is growing. To get there take a boat from Athens or Samos. Lemnos is the eight-biggest Greek island but has very little tourism. If you are looking for genuine island life this is an interesting lace to check out. The airport is a little to big but quite modern. Another way to get there is the ferry from Kavala, Alexandroupoli or Thessaloniki on the mainland.